“The Lighthouse” is a short with no dialogue and a masterful use of light and shading that tells the story of a solitary lighthouse keeper who discovers the ability to manipulate matter that ends up transporting him somewhere brand new. 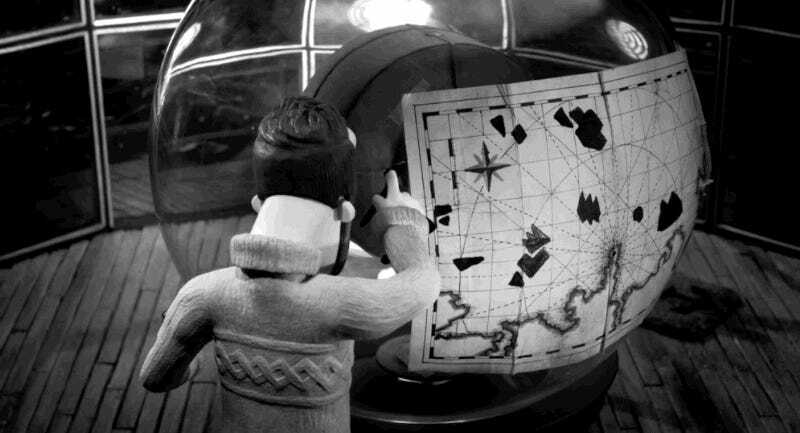 Simon Scheiber’s ten-minute short took him seven years of production to make, mainly, he told Short of the Week, because he had to teach himself all the ins and outs of stop motion and financed “The Lighthouse” himself. The result is impressive, but my favorite part is the face of the lighthouse keeper. It’s so expressive and engenders a lot of sympathy.